This September Focus/17 will return to the Design Centre, Chelsea Harbour as part of the London Design Festival. 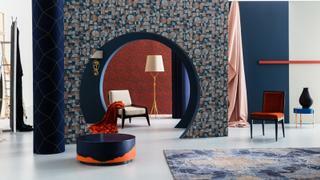 The six-day event will welcome both the public and trade to showcase the work of the Design Centre’s 120 showrooms as well as host a series of immersive events aimed at inspiring, educating and sharing ideas between those both inside and outside the interior design industry. Of particular interest to those looking to renovate their yacht interiors this season will be exhibits by luxury brands including Tai Ping carpets, Summit Furniture, Savoir Beds and linen specialists Dedar and C&C Milano, while new collections from Rubelli and Armani/Casa shouldn’t be missed. Another of the show’s main draws this year is a packed programme of talks featuring renowned designers from across the globe. Spanning topics from A Journey Through Colour to Creating the Design Vision, particular highlights include a discussion between luxury brand ambassador Sarah Miller and Patricia Urquiola, the hugely influential designer who among other projects created the stunning interiors of the Il Sereno hotel on Lake Como, and a conversation between Brazilian architect Fernanda Marques, Flowerbx CEO Whitney Bromberg and British interior designer Samantha Todhunter on how to create spaces that exude the uniqueness and personality of their inhabitants. Elsewhere attendees will be offered the chance to attend creative pop-ups, view a specially commissioned aerial installation by Cutture and take in floral displays by Tony Marklew, while refreshments will come courtesy of Tom’s Kitchen at the Tatler Restaurant. Focus/17 takes place from September 17-22, 2017 at Design Centre, Chelsea Harbour. Visit dcch.co.uk for more information.